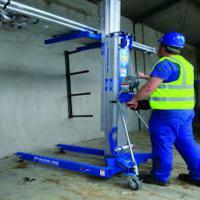 The Genie SLA15 Superlift is a Material Lift that can lift 363kg to a maximum height of 4.98m with the forks up. 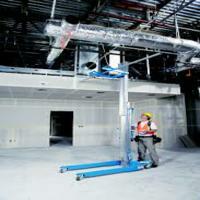 The combination of lift capacity and height probably covers most bases for most contractors, but is especially popular with air conditioning engineers and builders needing to install structural beams. 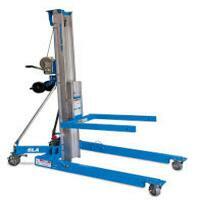 For more information on this equipment or our range of powered access equipment, just call 01234 740648.